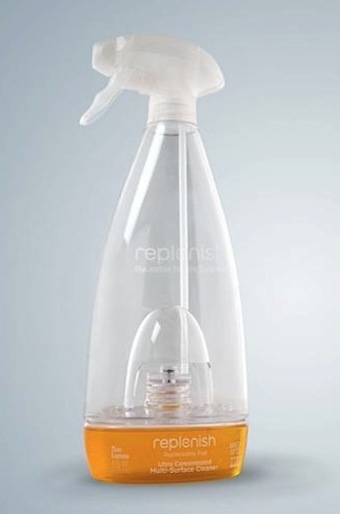 That’s the attitude of Replenish, what they’re saying is that 95% of the volume of a household spray is water, water that costs them to mix, fill the bottle and ship to you. What if they shipped you the chemicals and you use your own water? What a brilliant idea. Swapping it around, highlight what’s not there instead of what is. Thanks to Gizmodo for bringing it to my attention. This entry was posted on Wednesday, November 3rd, 2010 at 6:50 pm.